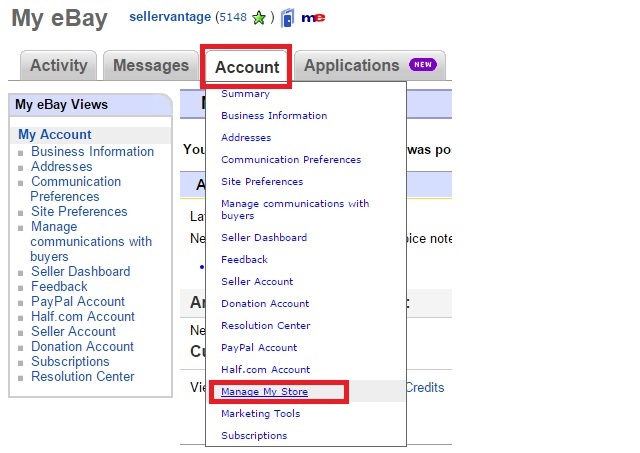 When you are listing to eBay and you have an eBay Store Subscription, you can create Store Categories to give your potential buyers access to filter through your items. To start, go to Settings (gear icon) > Location and enter your eBay Store ID. This ID may be different than your eBay name. If you go through the listing process and you are on Step 1 Details, and you still see the message in the image below, you must setup categories within eBay for them to show up here. Log into your eBay account. Click Account > Manage My Store. Under Manage My Store, click Store Categories. It is here where you will create the separate categories and sub-categories. It takes up to 48 hours for eBay to populate the categories inside the software.